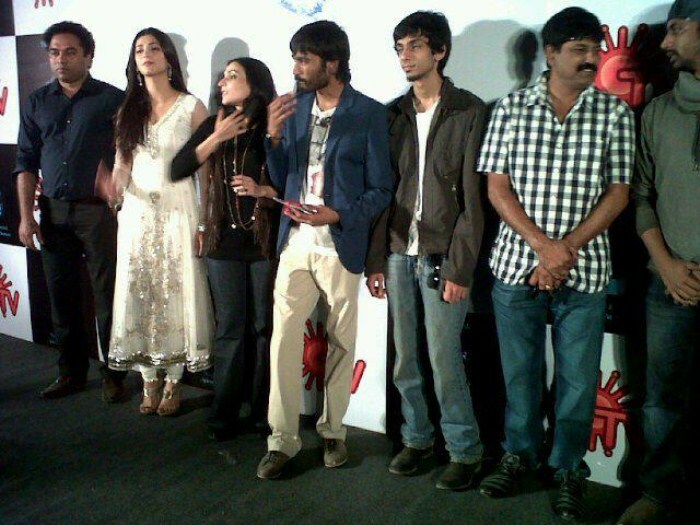 Dhanush, Shruti Haasan featuring upcoming Tamil film 3 audio released at SUN TV Studio Chennai. Directed by Aishwarya Dhanush, Produced by Vimala Geetha under R.K.Productions, Wunderbar Films. Music scored by Anirudh Ravichander.